Before you dive in, it's important to understand the elements that comprise a page. If you are new to the CMS and haven't taken CMS 101: Basic Foundations yet, we highly recommend you start there before working with pages. When you are ready to get your hands dirty, this section contains all the things you need to build compelling pages for your website. What are the different page types available? The CMS comes with a variety of page types in which to build your site. Learn more about the page types. I&apos;m fickle and change my mind a lot. Can I change page types just as easily? Unfortunately, no. If a different page type is required, you will need to start it from scratch. People have attempted to change page type mid-course using back-end alchemy but their sites exploded. Where do I find a page&apos;s page type? The best way to find the page type is to edit the page and look for the first section label near the top. Whether you're building a site from scratch or expanding your current site, creating a new page is one of the basic tasks to master. The Standard page is the most basic page type and can accommodate almost anything. 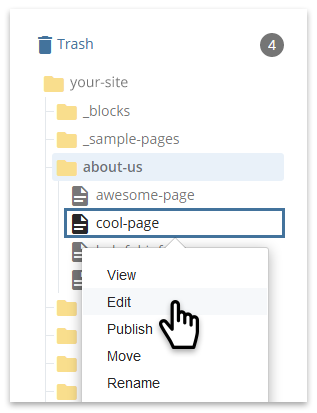 It can be built as simple or as complex as needed with highly configurable page layout options. The standard page would be a good starting point if you're new to the CMS. 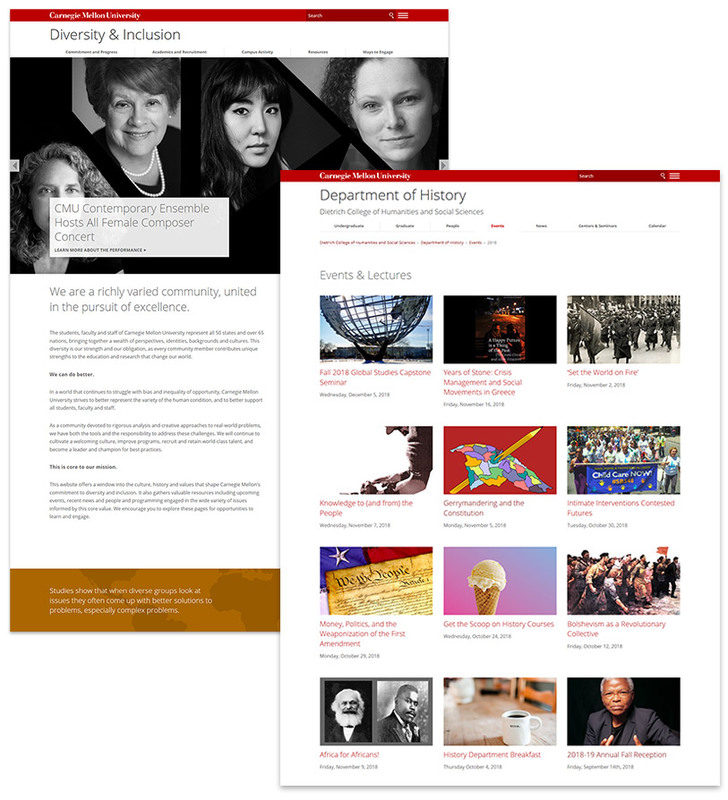 Special page types accommodate content for Bio, News and Courses. These pages come with added features and functionality for both website managers and website visitors. 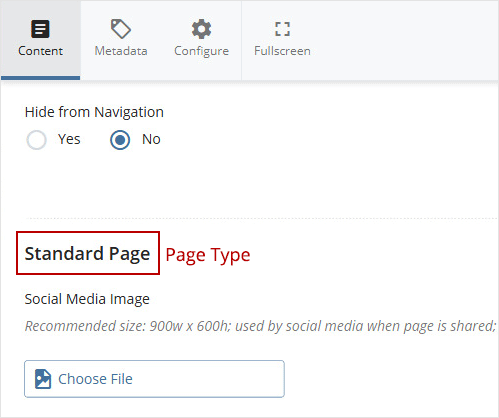 You may be coming on board to manage an existing site and just need to make updates to a page; follow these steps to edit a page.